Sarah Gauthier Roy is a native of Carencro, Louisiana. She is a graduate of Carencro High School, and the University of Louisiana at Lafayette. Sarah holds a Bachelor of Arts degree in Performing Arts with an emphasis in theatre. Sarah has been performing on stage for over 20 years within her community and nationally. While living in Southern California, Sarah worked for the San Diego Repertory Theatre doing Stage Management. In 2006 she worked for the Traveling Lantern Theatre company and toured the US performing plays for children. When Sarah returned home in 2006, she took the stage at local theatres. Her favorite roles include: Lil Bit in How I Learned to Drive at UL Lafayette, Mother Superior in Nunsense! at UL Lafayette, Meg in Crimes of the Heart at Cite des Arts, Judith in William and Judith at Theatre 810 and the Acadiana Center for the Arts, and starring in the one-woman show, The Blonde, the Brunette, and the Vengeful Redhead. In 2014 Sarah co-wrote and co-starred in an original cabaret-style musical with her dear friend Allison Brandon, The Bumpy Road, at Theatre 810. She recently directed The Kingfish, starring Aren Chiasson at Cite des Arts. 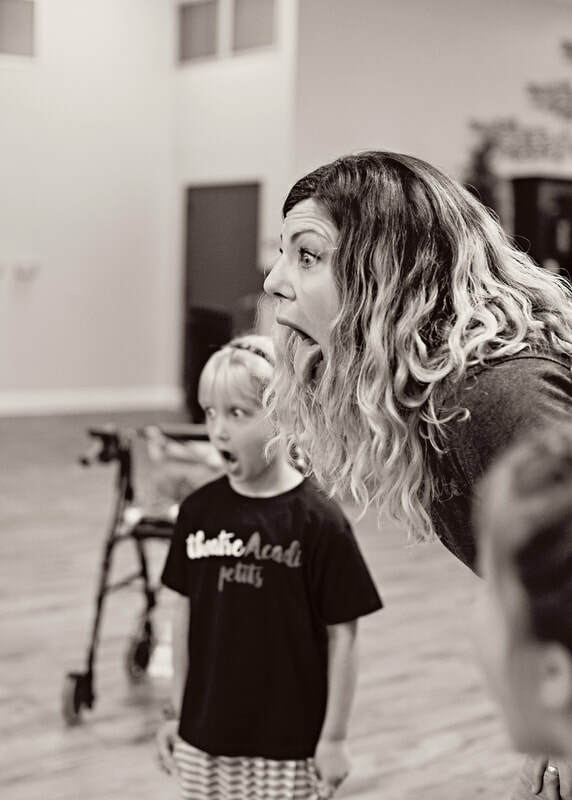 Sarah has been teaching theatre through the public school system's Talented Program since 2010. The Talented Program fosters the development of the artistic talents of kindergarten through 12th grade students identified by the Louisiana State Department of Education as having extraordinary talent in Music, Theatre or Visual Art. These students are serviced weekly by professional teaching artists. Sarah has serviced hundreds of students at several schools throughout Iberia and Lafayette Parish. Sarah was also the lead singer of the classic rock and blues cover band Blue-Eyed Doll, and a member of the Bon Temps Belles, an all female acapella group. Sarah is on the Board of Directors for the Acadiana Center for the Arts. The thing Sarah does most is mother and wife. Sarah is married to Justin Roy, also a Cajun and native of Lafayette Louisiana, and they are raising 3 amazing children, Juliet (8), Imogen (4), and William (3). These children inspire her to never leave the fun behind. ​A native of Lafourche Parish, Kirby Jambon, is the son of parents who instilled in him a pride in his Cajun heritage and Louisiana French language. His love for young people and his childlike spirit have been evident in his work as an educator for over 31 years, and during most of those years children’s theatre has played a special part. For the past twenty-two years, Kirby has worked as a French immersion teacher at Prairie Elementary School in Lafayette, where for many years he has been the moderator of La Voix Pop, a drama and speech club he created and through which he has directed over thirty performances. He has taught classes in Cajun French language and culture through programs in and out of Louisiana, most recently through the Continuing Education department at the University of Louisiana at Lafayette. His passion for his Louisiana French culture has also been evident in his work as an activist, actor, presenter, storyteller, and writer. He has worked as an active member and/or officer in Action Cadienne (Cajun Action), the Louisiana Consortium of Immersion Schools, the Council for the Development of French in Louisiana (CODOFIL) and Le Théâtre Cadien (Cajun Theater). In 2014 he was awarded Volunteer of the Year by the Festival International de Louisiane for his work in coordinating bilingual stage presenters. Kirby Jambon is also an award-winning poet who has published three books of Louisiana French poetry and has presented his poetry at numerous events throughout the U.S., Canada, and France. In 2014, he was honored with the Prix Henri de Régnier from the Académie française in Paris, making him the first Louisiana writer to receive an award for literature from the prestigious French Academy. Currently a junior at John Paul The Great Academy, Morgan Munzing has a great love for the Arts, the French Language, and teaching. Her mother, as a Cajun musician, has instilled in her a deep appreciation for her culture through music, dance, performance, cooking, and language of this beautiful region. She has been drawing since she could pick up a pen, and, since then, has never been able to stop. As a theatre enthusiast since age 10 after her father's performance In Shakespeare's Midsummer Night's Dream, she has passionately embraced the gift of every show that comes her way. Her favorite roles include The Little Prince in The Little Prince, Mo in the Infinite Pages, Howard Blair in Inherit The Wind, Valerie in The Princess Bride, Maria in Shakespeare's Love's Labour's Lost, and both roles in both quarter runs of the 810's 24hr theatre festival, among others. Being an artist, athlete, writer, actress, and JPG Art Prefect, she tries to integrate art into every part of her life and spread appreciation of the Beautiful to others. Currently the student-director of the JPG Drama Club, rehearsals are underway for a new performance of Shakespeare's A Winter's Tale, a classic play with a secondary musical cast in the works. She just finished co-directing an adaptation of The Princess Bride, the fall production, but is acting and directing in the spring production as well. She is absolutely thrilled for the next session of classes to start, and hopes to bring her passion and enthusiasm to everyone involved! Desiree Champagne was born and raised in Hahnville, Louisiana. She began her journey into music in the choir. Once she was in 5th grade she was able to learn any instrument she chose that was available at the time. She chose the flute and stuck with that through my second year of college. One day a friend gave her an acoustic guitar. She took time to teach herself as much as she could and let the rest come to her with time. She was discovered at an open mic night by Creole Grammy nominated musician, Cedric Watson who in his words “just from the sound of your strum you would be perfect on washboard.” After she took the opportunity, she traveled the world with Bijou Creole for 7 years, playing washboard and triangle. Now a days she’s teaching what she learned about herself and her culture to any age of people who want to learn who they are and maybe even a little bit about themselves. 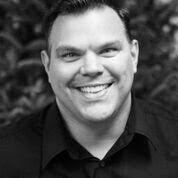 Aren is from Lafayette, Louisiana and teaches Talented Theatre in Iberia Parish. Since moving back from New York City in May 2011, he has performed in many productions, including Huey P. Long in The Kingfish, Dale Pittman in The North Plan, Harry "Jazzbo" Haywood in It's a Wonderful Life: A Live Radio Play, Lenny in Of Mice and Men, Foreman in Twelve Angry Men, Cliff in Cabaret, Officer Lockstock in Urinetown and William Shakespeare in William and Judith. Since graduating from University of Louisiana at Lafayette with a BFA in Performing Arts, he has performed in NYC, Chicago, Syracuse, Alabama, Indiana, on regional and national tours, and in short films and commercials. He studied improv with Armando Diaz at the Magnet Theatre in NYC and performs with Silverbacks Improv Theatre in Lafayette. Aren recently performed as Jud in Oklahoma! Chief John Mayeux is a member of the Avogel tribe, one of the oldest Louisiana tribes still in existence. He was head chief for over twenty years, and is still one of the chiefs of the tribe. Avoyelles Parish is named for the Avogel people, a tribe that has been in the area for at least 5,000 years. As a child, Mayeux saw his culture and language start to disappear, which is one of the reasons he came to enjoy making the things that his people made years ago. The beauty of these things filled his heart with joy. Mayeux has always believed that the true representations of his people would have been more interesting to audiences than the fictitious misrepresentations shown in movies and television Westerns. Working at Vermilionville gives him the chance to tell people about history of his tribe and its people. Mayeux is proud of his people and history, and says they have a great story to tell. He wants people to know the real Avogel Tribe, how it lived with others, and what it did to form America's ancient past. Without the indigenous people, American history is extremely short. Mayeux has worked at what he does all his life, and today he teaches his grandchildren what he knows so that his ancestors will continue through them and what they do. Having worked as a French teacher for many years, Mayeux says the methodology he practiced has helped him to teach the Avogel language to the children of the tribe. He would also like to revive it with the older people who have lost the language as a means of preserving their culture, even has his people have adapted to the modern American ways of living. It is his way of remaining true to the past, but continuing to tell his people's story for future generations. Bryant Benoit was born and raised in Lafayette, LA. He studied architecture at the University of Louisiana at Lafayette. He entered the construction industry and worked as a commercial construction project superintendent for several years. I found working within a collage helps me deliver the perception I’m conveying. My perception of reality is found in the endless photography that is produced every day. There is a real message in photos that speak to me subliminally. I love placing photos of feelings and energy into my work, as I paint the same energy. Like two opposites saying the same message. I combine the 2 forms and create my own perception of my culture, my life and my feelings. The paintings I create consist of many layers. I layer smaller images of pictures with layers of acrylic paint to capture the feelings and vibrations of my message. I use color also to create; being that each color has meaning and vibrations. Yvette Landry is a Grammy nominated, award-winning vocalist, multi-instrumentalist, songwriter and noted children’s author. She served as a Governor to the Memphis Chapter of the Recording Academy. She is a former board member for Louisiana Folk Roots organization and serves as director for their Kids Camp. A member of several bands, Yvette performs as an award-winning Louisiana honky-tonk artist, who travels throughout the US and Europe sharing her own music as well as the Cajun culture. Yvette also toured Russia as a cultural ambassador performing Cajun and Creole music while representing Louisiana and the United States. When not playing music, Landry stays busy as a private homeschool teacher, an adjunct professor at the University of Louisiana at Lafayette, and a sign language interpreter. Megan Brown, originally from Tepetate, LA, grew up to the sound of Cajun music at her grandparent’s Cajun restaurant. Singing all her life, Megan took to Cajun music and with it the French language at the age of 18. Joining first with her accordionist brother, Briggs Brown and his band. She was a co-founder of the all female Cajun group Les Bassettes and has sat in with such musicians and groups as The Pine Leaf Boys, The Lafayette Rhythm Devils and Steve Riley and the Mamou Playboys, performing at many cultural events, including Festivals Acadiens et Creoles, Folk Roots Balfa Camp, the New Orleans Jazz Festival, Festival International de la Louisiane and many more across the country and internationally. She currently plays and has been with T’Monde for the last six years. Megan has been teaching dance, art, and song to kids of all ages for 15 years at different schools and cultural/educational camps such as Folk Roots for Kids and the Augusta Heritage - Cajun & Creole Week.